Mattresses are not easy or cheap to replace. So it’s important to store them properly and make sure they remain in good condition. If you have an extra mattress that you want to store and keep in great condition, consider these storage tips from Affordable Family Storage in Council Bluffs. Here are the steps for storing a mattress in a storage unit. You can prevent dust from collecting inside your mattress by using a vacuum. Before packing your mattress for storage, thoroughly vacuum it on both sides to eliminate as much dirt and dust as possible. You can also sprinkle baking soda on the mattress’ exterior to absorb persistent smells. Later, vacuum up the baking soda and let your mattress air out for a few hours. After vacuuming your mattress, wrap it in plastic and secure it with packing tape to create a tight seal. A light, breathable plastic is better than thick plastic covers, which can often trap in moisture. It’s best to cover your mattress when it’s in storage. For long-term storage, consider purchasing a high-quality mattress bag from a hardware store, which is designed to prevent mold and keep the mattress dry. Bonus Tip: Open up the plastic wrapping every few months to air out the mattress - just make sure to reseal entirely afterward. Humidity is a threat to the materials in your mattress. When humidity reaches certain levels, mold and mildew begin to grow rapidly. Unlike your home, there’s little airflow inside a storage unit, which may result in a musty smell to your mattress or it can even be destroyed. Your mattress bag will protect against moisture and pests, but it’s possible for humidity to get inside the bag. Therefore, the best way to prevent humidity is to choose a climate controlled storage unit at Affordable Family Storage. Many manufacturers recommend storing the mattress flat to keep it in shape. Simply lay a tarp down on the floor and place the mattress on top. You can also lay the mattress on top of flat furniture or large boxes in your storage unit. 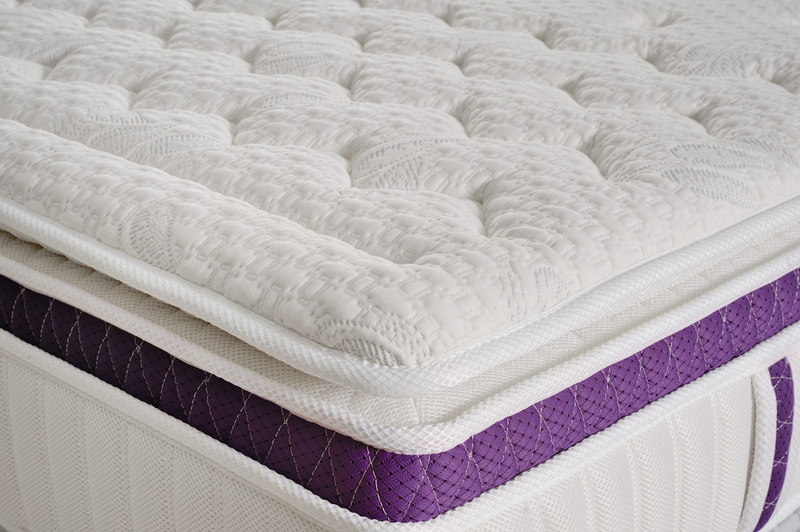 Storing a mattress upright may ruin the fabric and cause the inner workings to shift. Finally, don’t store anything on top of your mattress because the surface can become lumpy and lose its shape. Heavy items can also damage the springs. All these storage tips also apply to the box spring. A quality mattress can last anywhere from 10 to 15 years if it’s maintained properly. When retrieving your mattress from storage, remove the plastic wrap and vacuum the mattress the same way you did before storing it. If you need a storage unit for your mattress, Affordable Family Storage has the solution for you. Our storage facilities in Council Bluffs and across the Midwest offer an array of features including security, climate control, truck rental, easy access, online payment options, and much more. Talk to our 24-hour storage facility team at Affordable Family Storage today.